Turriga is Sardinia’s most famous wine, and also one of Italy’s best reds. A blend of roughly 85% old vine Cannonau (the Sardinian version of Grenache), with small percentages of Carignano, Bovale Sardo and Malvasia Nera that vary from vintage to vintage, Turriga is a big, powerful and age-worthy wine that showcases extraordinarily well just how good the wines of southern Italy can be. Argiolas is a hallowed name in Italy, and so it should be. Francesco Argiolas first planted his vineyards at the turn of the 20th century, but the estate really took off with the arrival at the helm of Antonio Argiolas (born in 1906), one of the true grand old men of Italian wine. From the beginning, in his mind Turriga was to be the wine that would demonstrate to the world just what Sardinia could achieve, a great red wine that was both modern and traditional, one that could compete with the best Barolos and Brunellos. At the same time, it had to maintain a specifically Sardinian and Mediterranean imprint. 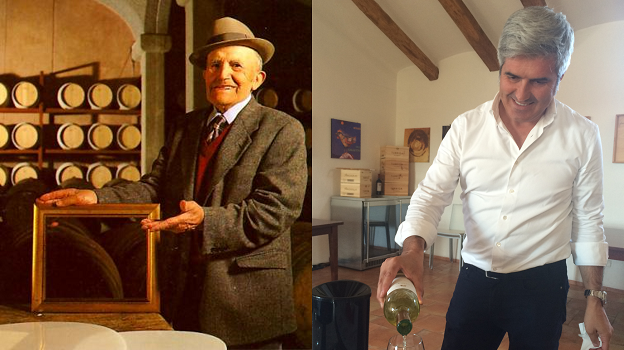 In order to achieve a suitably important wine, Argiolas turned to none other than Giacomo Tachis, one of Italy’s most respected winemakers and the father of an almost infinite number of Italian great reds, from Sassicaia to Tignanello, from Le Pupille’s Saffredi to Santadi’s Terre Brune and Castello dei Rampolla’s Sammarco and d’Alceo. Mariano Murru, Argiolas’ immensely knowledgeable technical director (who apprenticed under Tachis) is now the man in charge of winemaking, making Turriga stronger than ever (although, in my opinion there was a brief spell when the wine was too marked by dark fruit aromas and flavors, somewhat reminiscent of Bordeaux varieties). Turriga’s name is a reference to a specific place near the plains of Selegas in Sardinia, at about 230 meters above sea level, on calcareous soils with some gravel and sand. This is where the Argiolas family grows its oldest Cannonau vines. But Turriga is also the name of the pagan goddess Turriga, a statue of which can be admired at the Museo Archeologico di Cagliari (Cagliari’s archeological museum). 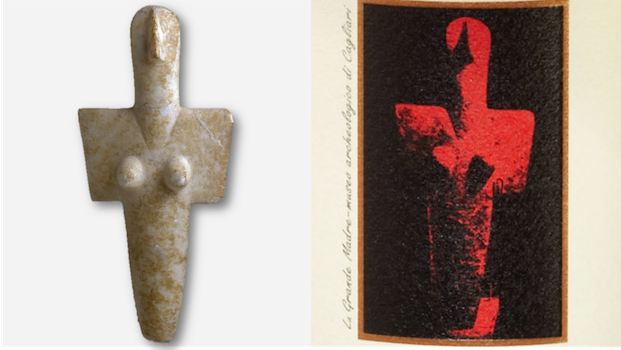 The 5,000 year-old statue was found by a local farmer not far from where the Turriga vineyards are located. It is the image of this very statue that graces Turriga’s highly recognizable label. The grapes are picked in different vineyards, all located in the Trexenta area, especially those of the Bingia Beccias and Sa Tanca farms located roughly 30 kilometers (19 miles) north from Serdiana, the town where the pretty Argiolas winery is located. The single vineyards are small, none more than two hectares large: the total surface area from which the Cannonau is picked is 16 hectares (40 acres), while the Bovale Sardo, Malvasia Nera and Carignano are harvested from other small vineyards extending over 5 hectares (12 acres). The area is characterized by mainly marly-sandy soils that are rich in limestone and poor in organic matter, which, coupled with low water availability, causes the vines to limit production naturally and to concentrate the juice in the grapes. Annual temperature average between 22-23°C (72-73°F), with highs of 32°C (90°F) and lows of 5°C (41°F) (though of course these maximum and minimum temperatures can be exceeded in specific vintages, such as in 2003). Vinification is straightforward, with the wine fermenting at 28-32°C (82-90°F) and the maceration lasting about sixteen to eighteen days, with regular délestages. Aging occurs in French oak barriques for about eighteen to twenty-four months depending on the vintage. Since the 2007 vintage, time in oak has been closer to the lower end of that range, although it varies by year. Murru told me that Turriga’s defining four grape variety blend, somewhat complex, was decided upon in an effort to showcase contributions from each of the varieties involved. Cannonau provides the power and personality, Carignano a certain opulence and roundness, Bovale Sardo fruit and tannin, while Malvasia Nera an aromatic touch and, surprisingly for what I know of the variety, Murru says it adds still more tannic backbone. Despite playing a minor role never in excess of 5% of the blend, Malvasia Nera is the grape that often has the greatest impact on Turriga’s aromatic and taste profile. According to Murru, just a 2% increase of Malvasia Nera is enough to really make a difference, providing more tannic clout and an almost aggressive quality, as can be seen in the 2004 Turriga, a vintage in which the Malvasia Nera bumped up to 8-9% of the final blend. All of the Turriga vintages in this tasting speak of a rich, ripe wine with very good acidity and lift, with bouquets in the older wines that harken back not just to suave red fruit, but also sweet pipe tobacco, black pepper, and aromatic herbs such as thyme and rosemary. Besides the outstanding 1988, the first Turriga ever made, and the likewise gorgeous 2004, it is the marvelous 1998 that really stands out in this tasting, even though it is also the most atypical Turriga of all. Done in an almost late harvest style, it exudes notes of dried fruit, red fruit jelly and tomato confit, plus a sultry velvety personality that is reminiscent of Amarone or Port. The 2004 is so good it actually makes me wonder why Argiolas doesn’t try for this style a bit more often, but it seems the family’s desire is to make a classic dry red wine in the mold of the greatest from Bordeaux, Barolo and the rest of the world. Clearly, this vertical tasting attests to their success in that goal.